approximately 20 minutes by taxi, the “King Park Avenue Hotel” awaits you to offer its warm and friendly hospitality. Surrounded by all kinds of shopping facilities and amenities, within just a few minutes walk (literally) you will be inside “Seacon Square”, one of the biggest shopping malls in Asia. Also “Paradise Park” and “Central City Bang Na” are only a few minutes further away. If more entertainment is needed, a short taxi ride will take you to the “BTS” sky train station on Sukhumvit Road where the possibilities are limitless. BITEC, Bangkok International Trade Exhibition Centre, is located just 4KM from “The King Park Avenue Hotel”. For fresh air, relaxation and a wide range of outdoor activities walk to Suan Luang, Rama IX Park (The King’s Park), the biggest in Bangkok. 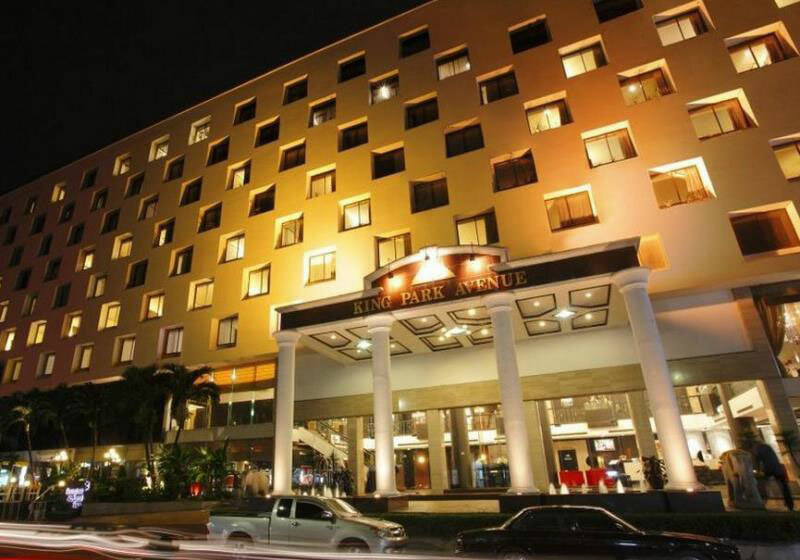 For all our corporate guests “The King Park Avenue Hotel” offers the convenience of being situated near the biggest industrial estate in Bangkok, and the gateway to the Eastern Seaboard. Where there are not only massive commerical opportunities, but the chance to escape to some of the most beautiful beaches and resorts in Thailand. Take a short break and return refreshed with the natural air of the East. Short Description: Surrounded by all kinds of shopping facilities and amenities, within just a few minutes walk (literally) you will be inside "Seacon Square", one of the biggest shopping malls in Asia. Also "Paradise Park" and "Central City Bang Na" are only a few minutes further away.